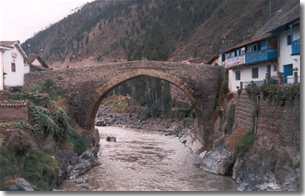 Paucartambo is located 110 Km from Cusco, 3 hours and a half approximately 2,900 msnm. This colonial is known as the folklore province of Cusco and of Peru. This village is not visited by many tourists, they only pass through it on their way to the Manu National Park, but they never stop there. Nevertheless, during a week on July, it is worth to stop and not only take a look, also stay there for a couple of days. Between July 15 and July 18, the celebrations in honor of the Virgen del Carmen will begin a religious festivity having its roots in the days of the Colony and where the exuberance of colorful dances and pageants gives an extraordinary touch to one the greatest manifestations of faith seen in Peru. The origins of the consecration of the festivity of the Virgen del Carmen go back to the verbal tradition of colonial and republican days. The cult to the Virgen del Carmen started during the 17th century when people from the "Qollas" in the high plateau arrived driving their packs of llamas, passing through Paucartambo and Kcosñipata, with the purpose of trading their products. During one of these visits, to the astonishment of migrants and natives, the face of the virgin was miraculously revealed embossed on a clay vase. This discovery was adopted to eternalize her full image, which was sculpted by craftsmen from Paucartambo, a temple also being built where they venerated her with prayers and canticles. At two hours from Paucartambo town is Tres Cruces, (3750 msnm). The view of the Andean mountains sinking in a sea of clouds is quite impressive. It's an ever-present blanket of fog in the region that covers the forest like an ocean hiding a secret. The sunset is a gorgeous show, everything: the sky, the clouds under your feet, and the mountains change colors from orange to blue. You can camp there, but it's humid. Nevertheless, it's worth it to try your luck and wait for the sunrise the next day. Usually it's foggy at dawn, but you could be lucky and be at the right day, you never know, and it's worth the intent. Every year in June people celebrate sun party (intipacarec) it is tradition comes of the Incas time, to God Sun. Today it ‘s known as change of the summer solstice and winter solstice.